Actually, there is a big discount made specifically for you: the good driver discount. The good driver discount is given to people who haven’t had any claims or violations in the last 3-5 years. The length of time they look back varies with each company. For example, say you’re with a company that looks back 5 years at your driving record. But, their good driver discount eligibility is only over the last 3 years. You might still be eligible in this case. You could have an accident that happened 4 years ago and is still affecting your regular auto rates, but also have the good driver discount. The good driver discount was designed to reward good drivers. The insurance industry usually isn’t known for personalizing policies and discounts for one person. However, the good driver discount is one way of doing this. Insurance spreads risk around a large group of people. This means that your auto insurance company is basing its rates, your rates, from a large group of people. For example, if 10,000 people get into a wreck in your zip code this year, your rates will likely increase next year. The good driver discount is one way around this. It recognizes and rewards people with good driving behavior. The good driver discount is usually one of the biggest discounts that insurance companies offer. The discount can be anywhere from 15 – 20%. With some companies, it could be even higher. For example, Progressive’s good driver discount can be as high as 31%! If you already have the good driver discount and get into an accident, the insurance company can’t take it off right away. They will have to wait until your next policy renewal. Companies cannot change rates in the middle of a policy term. So, if you have a one-year policy and are only one month into it when you get in an accident, you will still have the good driver discount for the next 11 months and then it would come off your policy. Whether you qualify for the traditional good driver discount or not, you might be able to get a different type of discount. Many insurance companies have started to use telematics, and they are offering discounts just for signing up. Telematics is a technology that allows insurance companies to track certain aspects of your driving. They do this either through an app, or more commonly, a little device that’s installed in your car. The telematics program usually lasts for 3 months. Speeding isn’t factored into the overall score, in part because there is no way for the insurance company to know whether you are actually speeding or not. The telematics device doesn’t know what the posted speed limit is, so it has no way of knowing whether you are going over or under the speed limit. However, if you drive recklessly at 100mph every day for 3 months, then this would probably draw a red flag for the company, besides putting your own life at risk. Most companies offer a 5% discount just for using the telematics program. Then, the company will base its final discount on your total score. Some companies offer up to 20%, with some going as high as 50%. Most drivers that enroll in the program receive a final discount of 5-10%. The telematics discount is a way of showing that you are a good driver, even if you didn’t qualify for the traditional good driver discount. If you did qualify for the good driver discount, you can still use telematics to further decrease your premium. 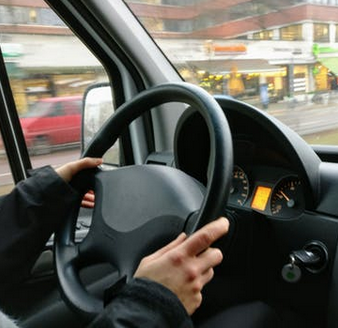 Many companies also offer a discount if you take a defensive driver course. These can be taken online or in-person and can also reduce your premium. Taking one of these courses shows that you’re serious about driving safely, so insurance companies will reward you for that. Finally, if you still have a clean driving record in the last 3-5 years, you could also consider adding Accident Forgiveness to your policy. Not every company offers Accident Forgiveness, nor do they offer it in every state. Adding this to your policy will cost extra money, but it’s worth considering. If you already qualify for a good driver discount, have taken a defensive driver course, and have used telematics, you’ve already saved quite a bit of money! Adding Accident Forgiveness will guarantee that your rates won’t increase after your first accident. It also guarantees that your good driver discount will stay on your policy. The good driver discount is one of the best discounts given by insurance companies. If you don’t currently qualify, keep trying. Drive as safe as possible and add the discount once you become eligible.